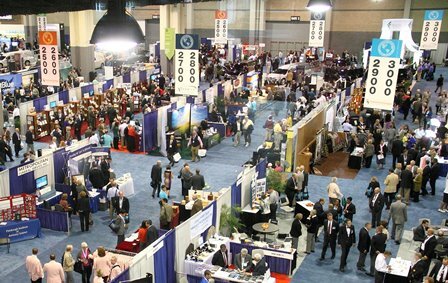 The latest products, services and innovations to grow your business and better serve client families are all here at the world's largest funeral service expo! With nearly 300 exhibitors, you'll want to visit the Expo hall more than once - you're guaranteed to see something new each time you visit! Unique Boutique: Visit this unique collection of local Salt Lake City boutiques boasting a fine selection of jewelry, accessories, handbags, lotions and much more! Start your holiday shopping early this year and don't forget a treat for yourself! Pause for Paws: Therapy dogs are gaining popularity at funeral homes to help grieving families - visit this new area of the Expo hall to discover why! Both puppies and adult dogs will be on hand to help you relax and relieve stress. Warning: you may experience cuteness overload! The best stories are shared around a campfire! Enjoy intimate, speaker-led sessions in a relaxed atmosphere at the NFDA Campfire Exchange, conveniently located in the expo hall. Each 20-minute session will explore a topic that impacts the profession. We’ve got your back in Washington, D.C.! From veterans’ rights to public health safety measures, we’re hard at work advocating for legislation that positively impacts our profession. Learn how your support can make a difference on Capitol Hill. Stop at the NFDA Business Solutions booth to learn about money- and time-saving tools that will help you operate an even more successful business. Visit with representatives from Federated Insurance, TransFirst, Hunter Warfield, Messenger, PartnerShip and more. NFDA strives to keep you informed - help keep us informed, too! Stop by and chat with the editors of The Director, Memorial Business Journal and Director.edu about topics of importance to you and your business. Be sure to get your free copies of The Director while you're there! Be inspired by this year’s award recipients! View this year's most innovative entries and gain fresh ideas you can implement to better your business and community. Planning to apply for the 2019 Pursuit of Excellence Award? Visit the booth to pick up program guidelines and register for the program - you'll receive a special savings on the entry fee! Whether you’re currently doing business internationally or simply want to learn more about funeral service around the world, you’ll find what you’re looking for, including repatriation information, here. • Monday, October 15: 12 – 5 p.m.
• Tuesday, October 16: 12 – 5 p.m.
• Wednesday, October 17: 9 a.m. – 12 p.m.